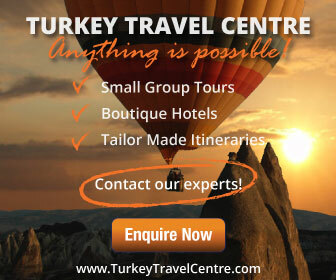 When planning a visit to Turkey, it is likely you will read articles suggesting you taste baklava. Widely popular from the east to the west, I have yet to meet a Turk whose eyes do not light up when it is mentioned. Personally, I don’t like baklava. Its sweetness cuts through to the sensitivity of my teeth but I am a strong believer that everyone should try it at least once. 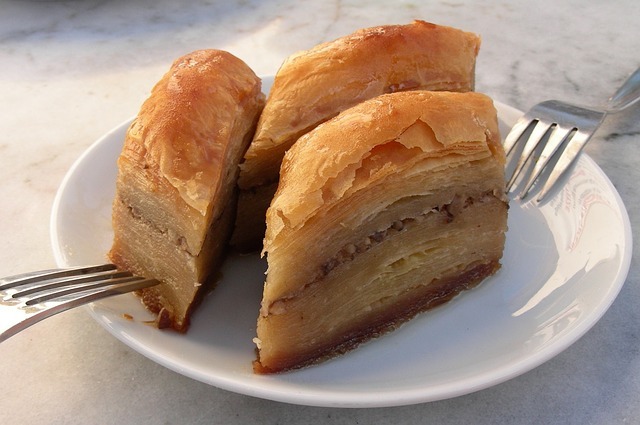 Layers of thin flaky pastry are filled with chopped nuts and then held together with sticky and extremely sweet syrup. After baking, it is cut into triangles, and garnished with ground nuts. In Turkey, it is served as a dessert with ice-cream or sold in bulk from local pastry shops. Many debates have taken place about the origins of baklava but most believe it originated from the Ottoman kitchens of Topkapi Palace. It is possible they developed the idea from a similar concept during the Byzantine era or from the pre-Anatolian region which is connected to the Turkic people, although others argue that it definitely originates from the Middle East. Considering the historical timeline of Turkey with other cultures, it is no surprise that Baklava is not purely a Turkish dish. Different versions are made in Greece, Iran, Armenia and Georgia. 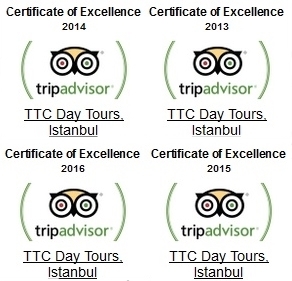 Obviously the sweet and delectable taste of baklava has international popularity. 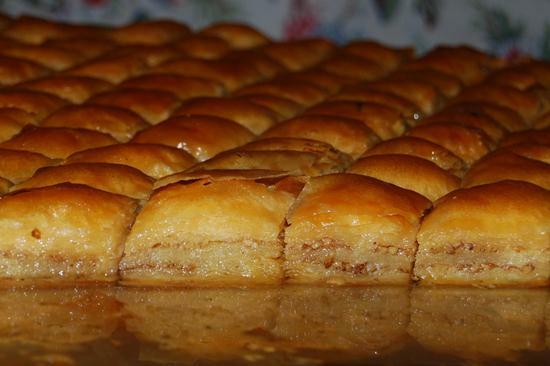 It is widely accepted that the best baklava is made in Gaziantep. Using pistachios nuts for the filling, the speciality is marketed all around the country. Less well-known is the region of Beypazari in central Anatolian near the capital of Turkey, Ankara. Rather than concentrate on the fillings, they instead insist on using 80 layers of flaky pastry, covered with melted butter. Within the town, a local restaurant run by Fatma Teyze does a roaring trade in Beypazari baklava. When you visit Istanbul, don’t settle for any supplier of baklava because there are vendors that are locally praised for their excellence in making the product. They include Gaziantepli Baklavacı Bilgeoğlu in the Kadikoy district and Güllüoğlu in the Karakoy neighbourhood.